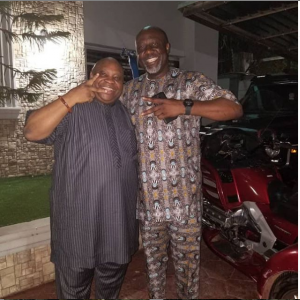 Controversial Nigerian senator, Dino Meleye have been pictured with Incoming Governor of Osun State, Ademola Adeleke, who was recently declared winner of the state election by tribunal last Friday. Senator Dino Meleye is known for his famous hit track, ‘Aje Kun Iya’ while Senator Ademola Adeleke, who was recently declared Governor-elect of Osun State is known for his dancing moves. 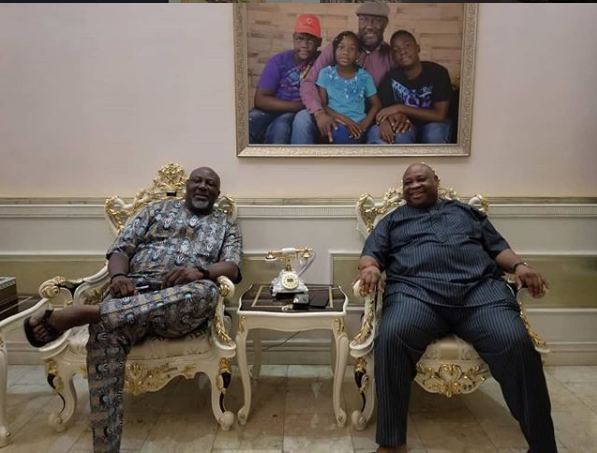 The two politicians were pictured hanging out together at Dino’s home.